Customer Service Supervisor maintains and enhances customer services by evaluating and organizing the various services, delivering systems, procedures and supervising staffs. 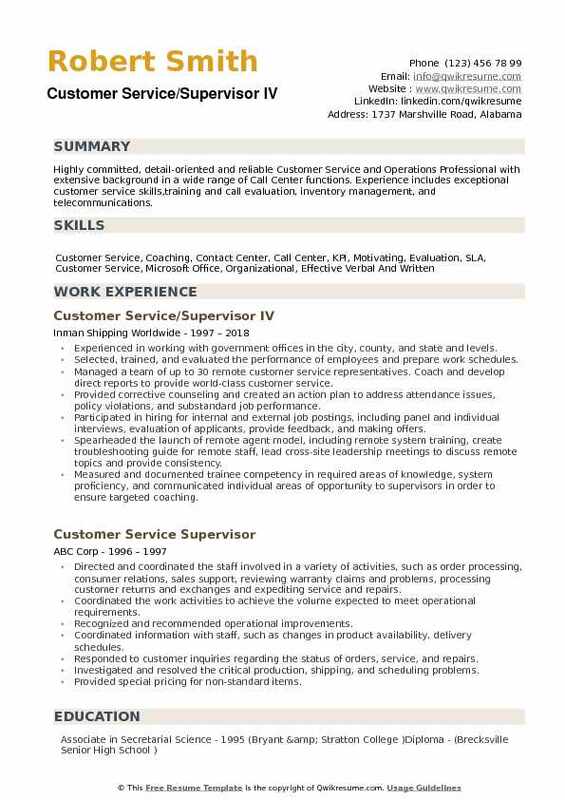 The customer service supervisor job responsibilities include recruiting, motivating and training customer service employees so as to enhance loyalty and retain good customer relationship, the customer service supervisor involves actively in enhancing the business performance by participating in various educational opportunities and professional organizations. 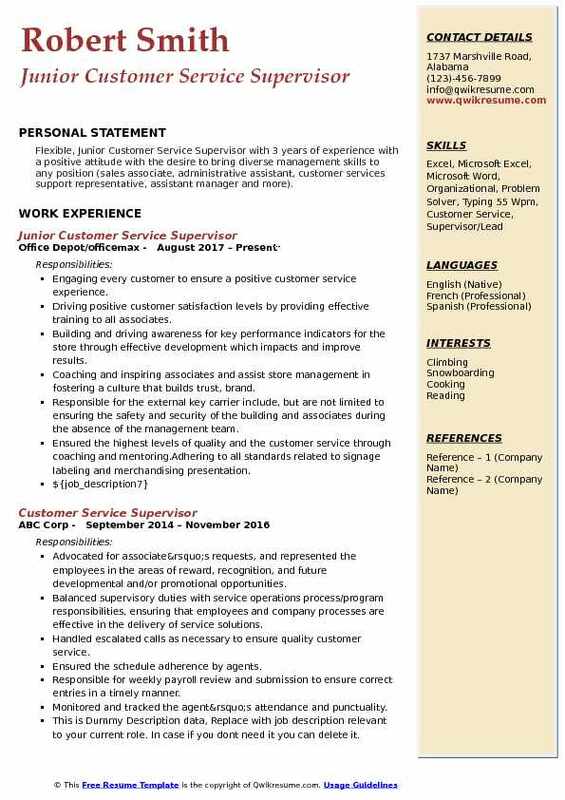 Some of the best assets that will highlight the Customer Service Supervisor Resume are market knowledge, presentation skills, product management, delegating skills, quality management, Microsoft computer skills and excellent customer service skills. Although no formal education is needed for this job role, some candidates make a display of a Bachelor’s degree in communication, marketing, or similar domains. 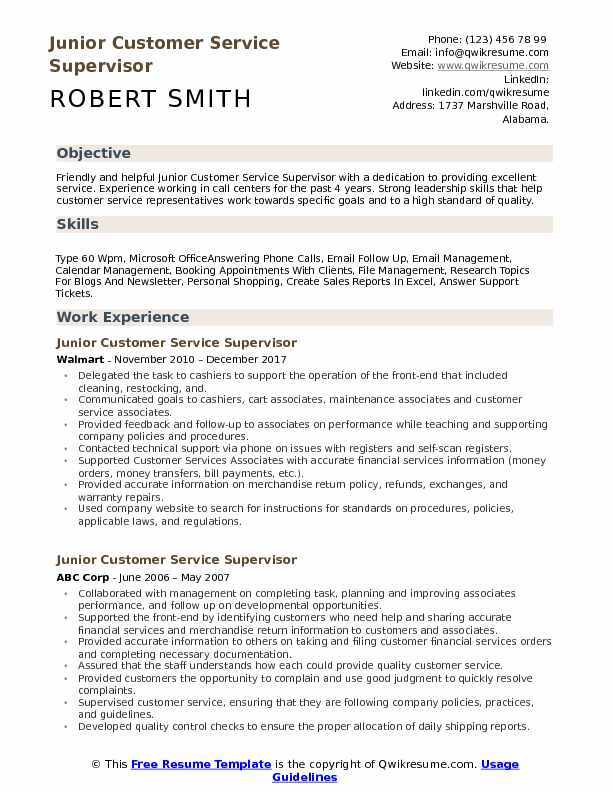 Objective : Friendly and helpful Junior Customer Service Supervisor with a dedication to providing excellent service. 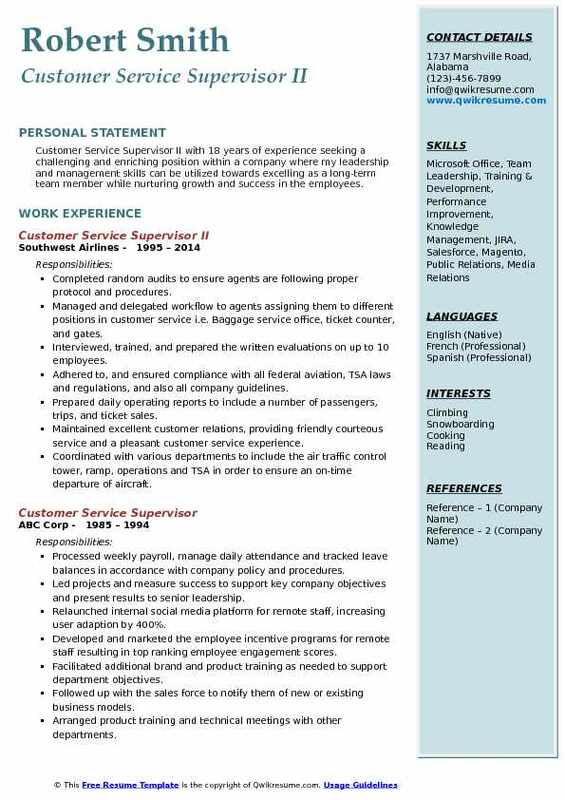 Experience working in call centers for the past 4 years. Strong leadership skills that help customer service representatives work towards specific goals and to a high standard of quality. Skills : Type 60 Wpm, Microsoft OfficeAnswering Phone Calls, Email Follow Up, Email Management, Calendar Management, Booking Appointments With Clients, File Management, Research Topics For Blogs And Newsletter, Personal Shopping, Create Sales Reports In Excel, Answer Support Tickets. Delegated the task to cashiers to support the operation of the front-end that included cleaning, restocking, and. Communicated goals to cashiers, cart associates, maintenance associates and customer service associates. Provided feedback and follow-up to associates on performance while teaching and supporting company policies and procedures. Contacted technical support via phone on issues with registers and self-scan registers. Supported Customer Services Associates with accurate financial services information (money orders, money transfers, bill payments, etc.). Provided accurate information on merchandise return policy, refunds, exchanges, and warranty repairs. Used company website to search for instructions for standards on procedures, policies, applicable laws, and regulations. Preformed high-volume request from cashiers, cart associates and customer service desk during peak hours in the store. Responsible for retrieving money from cash machine for cashiers and customer service desk. 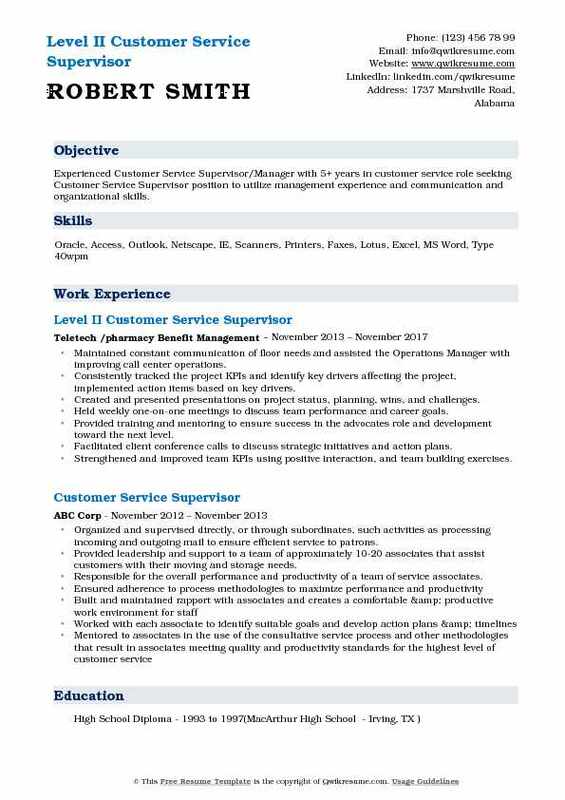 Objective : Customer Service Supervisor with 4 years of experience seeking a position in a results-oriented company that requires an ambitious and career conscious person. Proven abilities to communicate effectively with both internal and external customers while keeping a strong sense of organizational and prioritization expertise. Providing local IT support (hardware diagnostics, hardware replacement, reimaging) as needed. Maintaining/monitoring the service desk ticket queues to ensure timely response and resolution. Reviewing the historical and real-time reports within Avaya call management system to provide service level. Effectively communicating the service outages to the service desk team and attend technical bridge calls as needed. Designing/conducting new hire training, remedial training, and new process training. Monitoring the staff performance with ticket observations and call observations to identify training needs. Verifying all training knowledge base articles are up to date and correct to include service desk policies for internal departments. Creating, reviewing and editing the knowledge base articles and standard operating procedures to guarantee accuracy for both the service desk and customers. Tracking, analyzing and delivering to senior management accurate call volume, service level statistics, staffing plans and resource requirements to enable optimal operations in a 60 employee call center. Objective : A results-orientated Jr. 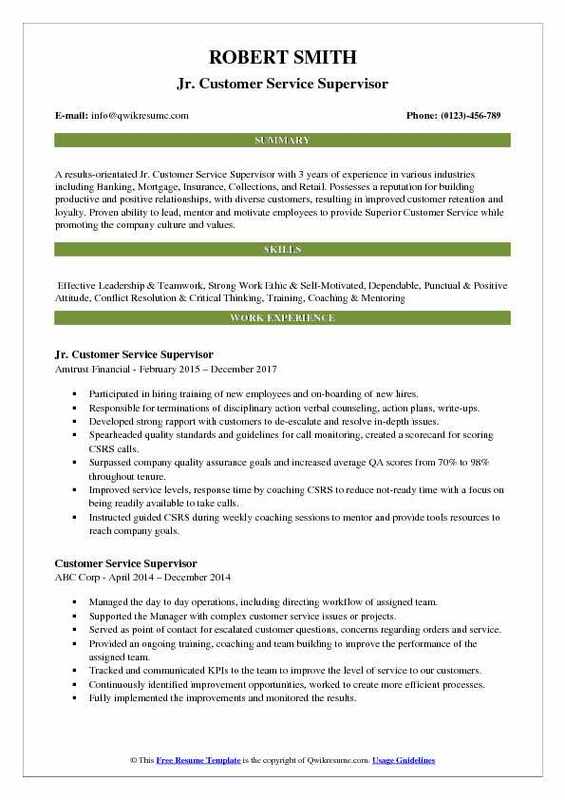 Customer Service Supervisor with 3 years of experience in various industries including Banking, Mortgage, Insurance, Collections, and Retail. Possesses a reputation for building productive and positive relationships, with diverse customers, resulting in improved customer retention and loyalty. Proven ability to lead, mentor and motivate employees to provide Superior Customer Service while promoting the company culture and values. Participated in hiring training of new employees and on-boarding of new hires. Responsible for terminations of disciplinary action verbal counseling, action plans, write-ups. Developed strong rapport with customers to de-escalate and resolve in-depth issues. Spearheaded quality standards and guidelines for call monitoring, created a scorecard for scoring CSRS calls. Surpassed company quality assurance goals and increased average QA scores from 70% to 98% throughout tenure. Improved service levels, response time by coaching CSRS to reduce not-ready time with a focus on being readily available to take calls. Instructed guided CSRS during weekly coaching sessions to mentor and provide tools resources to reach company goals. Participated in improving the onboarding process and actively participated in the recruiting, selecting and interviewing of front-line employees. Ensure workload and workforce management objectives are met to meet the demands of inbound calls. Summary : Knowledgeable and dependable Customer Service Supervisor III with 22 plus years of extensive experience in the Paint industry. Known for excellent communication and customer service skills. Expertise in varied paint product lines. Skilled in problem-solving, troubleshooting, and training. Microsoft Office, Infinium, AS400, HR Corporate Liason, BOS Employee Training, and Quick Learner, Communication, Results-oriented, SAP. Supervised a customer service team of three associates, and was the technical support. Created an office environment in which staff is focused on individualized and quality customer service. Delegated and reviewed the status of on-going work to ensure that staff are meeting expectations and are completing their assigned work on time. Recommended appropriate personnel actions including salary increases, and improvement plans. Flexible and creative in the use of resources to meet changing customer demands. Created and/or maintained the process for mailing parts/product to consumers. Oversaw the training of new team members and mentor each to promote productivity, accuracy and friendly service. Directed a team of 12 customer service professional assisting approximate 800 daily customers via call center and in person. Completed research on complex problems and resolved issues in a timely manner. 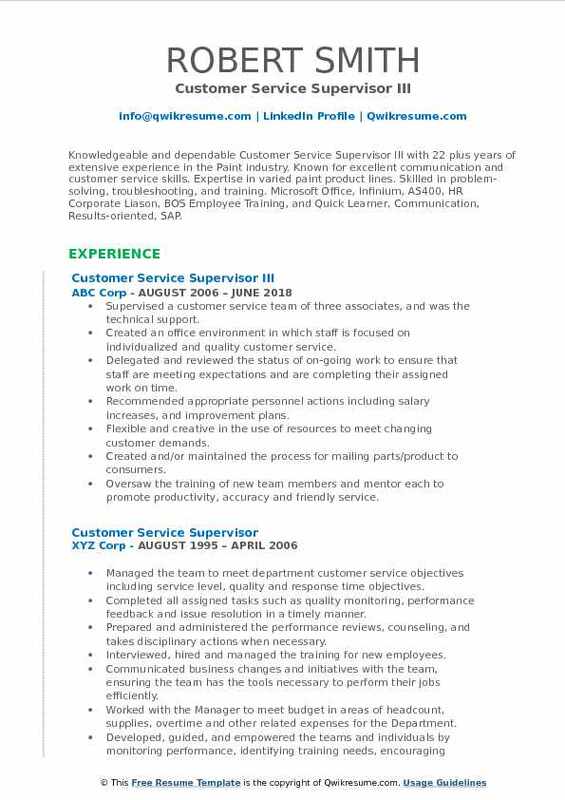 Summary : Customer Service Supervisor II with 18 years of experience seeking a challenging and enriching position within a company where my leadership and management skills can be utilized towards excelling as a long-term team member while nurturing growth and success in the employees. Completed random audits to ensure agents are following proper protocol and procedures. Managed and delegated workflow to agents assigning them to different positions in customer service i.e. Baggage service office, ticket counter, and gates. Interviewed, trained, and prepared the written evaluations on up to 10 employees. Adhered to, and ensured compliance with all federal aviation, TSA laws and regulations, and also all company guidelines. Prepared daily operating reports to include a number of passengers, trips, and ticket sales. Maintained excellent customer relations, providing friendly courteous service and a pleasant customer service experience. Coordinated with various departments to include the air traffic control tower, ramp, operations and TSA in order to ensure an on-time departure of aircraft. Ensured initial and follow up research of delayed or lost baggage reports are completed in a timely manner. Headline : Experienced Customer Service Supervisor/Manager with 5+ years in customer service role seeking Customer Service Supervisor position to utilize management experience and communication and organizational skills. Maintained constant communication of floor needs and assisted the Operations Manager with improving call center operations. Consistently tracked the project KPIs and identify key drivers affecting the project, implemented action items based on key drivers. Created and presented presentations on project status, planning, wins, and challenges. Held weekly one-on-one meetings to discuss team performance and career goals. Provided training and mentoring to ensure success in the advocate's role and development toward the next level. Facilitated client conference calls to discuss strategic initiatives and action plans. Strengthened and improved team KPIs using positive interaction, and team building exercises. Cross trained and supervised various departments including, training/helpline, and the pharmacy help desk. 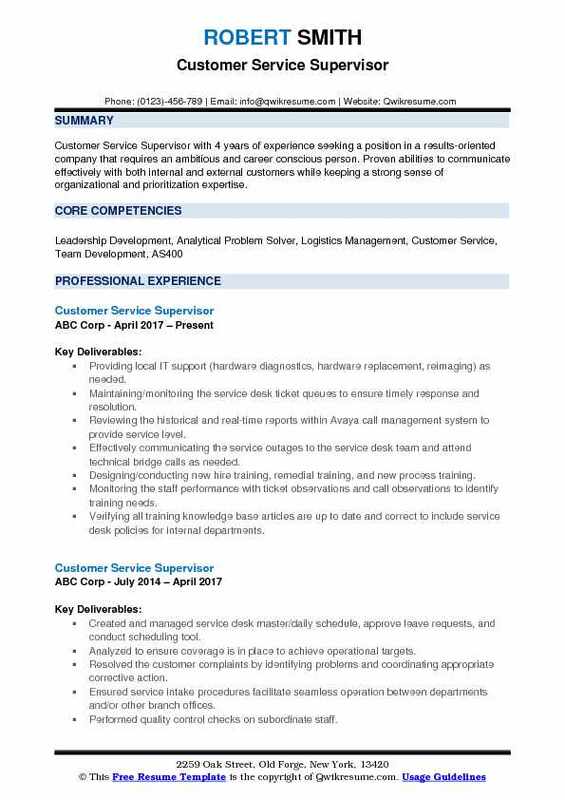 Summary : Experienced Customer Service Supervisor II with 16 years of experience with a strong background in customer service, call center operations, dispatch logistics, and development of monitoring systems to track productivity and improve quality seeking a Supervisory/Management position that focuses on customer service/client relations. Responsible for hiring, training and supervising call center agents to ensure productivity, metrics and company culture is met. Handled and resolved critical escalation calls and customer complaints determining appropriate. Liaised with the call center management team to monitor the effectiveness of service policies and practices. Researched claims and policy issues and followed up with customers ensuring quality customer. Improved customer service by monitoring calls and providing coaching and feedback to the customer service representatives, helping them expand their service skills. Maintained office efficiency by sustaining and monitoring a weekly tally of staff hours, precise. Played a crucial role in motivating and informing staff of new initiatives by ensured that team members obtained the appropriate training and support to best apply their knowledge and skills on the job. Developed new hires, monitoring, coaching and evaluating employee performance. Worked with Managers in all departments as liaison to coordinate maximum efficiencies. 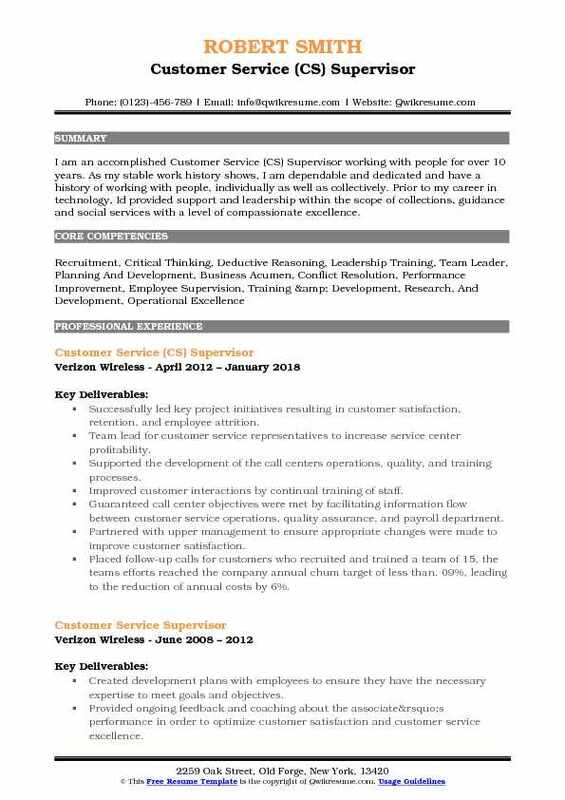 Summary : I am an accomplished Customer Service (CS) Supervisor working with people for over 10 years. As my stable work history shows, I am dependable and dedicated and have a history of working with people, individually as well as collectively. Prior to my career in technology, Id provided support and leadership within the scope of collections, guidance and social services with a level of compassionate excellence. Successfully led key project initiatives resulting in customer satisfaction, retention, and employee attrition. 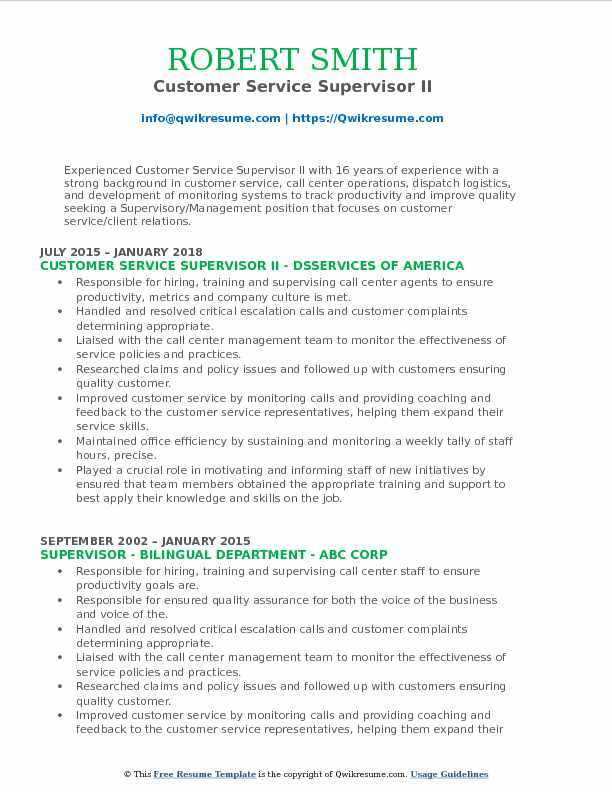 Team lead for customer service representatives to increase service center profitability. Supported the development of the call centers operations, quality, and training processes. Improved customer interactions by continual training of staff. Guaranteed call center objectives were met by facilitating information flow between customer service operations, quality assurance, and payroll department. Partnered with upper management to ensure appropriate changes were made to improve customer satisfaction. Placed follow-up calls for customers who recruited and trained a team of 15, the team's efforts reached the company annual chum target of less than. 09%, leading to the reduction of annual costs by 6%. Increased the accuracy and efficiency of the customer service department by recommending vital changes. Provided instructor-led training, extended on-site training, and coaching to help the team to employ critical thinking and deductive. Objective : Flexible, Junior Customer Service Supervisor with 3 years of experience with a positive attitude with the desire to bring diverse management skills to any position (sales associate, administrative assistant, customer services support representative, assistant manager and more). Engaging every customer to ensure a positive customer service experience. Driving positive customer satisfaction levels by providing effective training to all associates. Building and driving awareness for key performance indicators for the store through effective development which impacts and improve results. Coaching and inspiring associates and assist store management in fostering a culture that builds trust, brand. Responsible for the external key carrier include, but are not limited to ensuring the safety and security of the building and associates during the absence of the management team. Ensured the highest levels of quality and the customer service through coaching and mentoring. Adhering to all standards related to signage labeling and merchandising presentation. Summary : Highly committed, detail-oriented and reliable Customer Service and Operations Professional with extensive background in a wide range of Call Center functions. Experience includes exceptional customer service skills,training and call evaluation, inventory management, and telecommunications. Experienced in working with government offices in the city, county, and state and levels. Selected, trained, and evaluated the performance of employees and prepare work schedules. Managed a team of up to 30 remote customer service representatives. Coach and develop direct reports to provide world-class customer service. Provided corrective counseling and created an action plan to address attendance issues, policy violations, and substandard job performance. Participated in hiring for internal and external job postings, including panel and individual interviews, evaluation of applicants, provide feedback, and making offers. Spearheaded the launch of remote agent model, including remote system training, create troubleshooting guide for remote staff, lead cross-site leadership meetings to discuss remote topics and provide consistency. Measured and documented trainee competency in required areas of knowledge, system proficiency, and communicated individual areas of opportunity to supervisors in order to ensure targeted coaching. Guaranteed positive customer experiences and resolved all customer complaints in person and via phone.